Do you love to drink Coca Cola? Aluminum Cans? 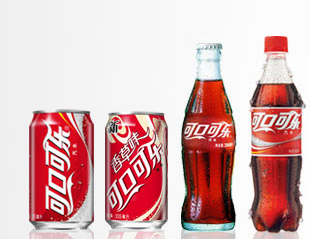 At present,about 1.7 billion people around the world consumers are drinking Coca-Cola products every day, sold about 19,400 bottles drink per second. So you must drink it. But do you know its packaging?Aluminum Cans,Glass Bottles, Plastic Bottles? I think Aluminum Cans are the best pack,do you know why? Let me explain slowly. 1.Since the appearance of the aluminum in the air will form an oxide film, namely aluminum oxide Al2O3, which makes aluminum even at high temperatures over 100 degrees will not be oxidized, aluminum cans also have this appearance of an oxide film, even inside containing a liquid (liquid solution of aluminum and oxygen can accelerate the formation of the oxidation reaction), it will not be easy to rust. 2.The relative density of aluminum is smaller than the same volume of aluminum iron to small, hands cans, of course, the more light the better, who want to hold a few hundred grams when shopping ? 3.The aluminum industry has been relatively mature, high-speed mass production by aluminum, and aluminum plasticity, and through various other metals to facilitate the transformation into alloys, aluminum hardness, plasticity and even memory (that is, after deformation recoverability) has greatly improved, it can be said to be extremely versatile inexpensive metal. 4.Aluminum recycling is very convenient, the use of aluminum is also very good, resource utilization can be developed to 120%, the big reason is the use of aluminum regeneration. Some beer packaging also use aluminum cans. Detect-Metals stocks and processes kinds of aluminum product: aluminum sheet metal,aluminum plate,aluminum pipe,aluminum foil and so on.